Former Prime Minister Atal Bihari Vajpayee, who had been admitted to the AIIMS hospital in New Delhi for the past few weeks, died on Thursday. He was 93. “It is with profound grief that we inform about the sad demise of former Prime Minister of India, Shri Atal Bihari Vajpayee at 05:05 pm on August 16, 2018,” a statement released by the AIIMS read. Vajpayee was admitted to the AIIMS on June 11 with a kidney tract infection, urinary tract infection, low urine output and chest congestion. 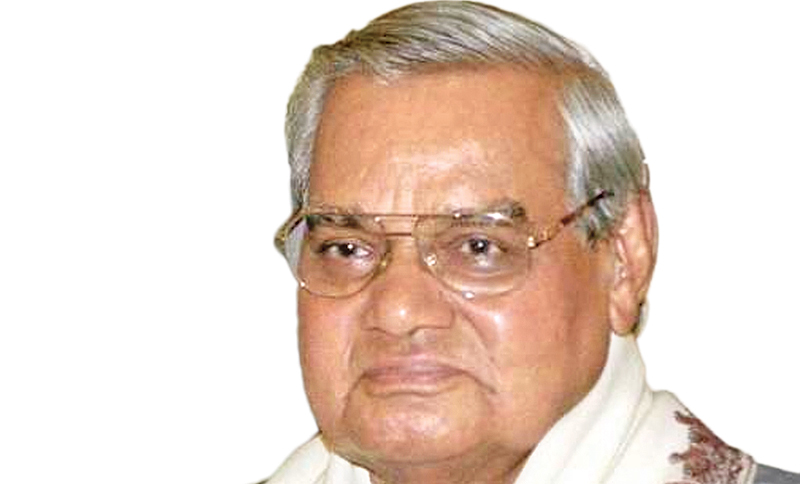 The AIIMS said Vajpayee’s condition deteriorated over the last 36 hours and he was put on life support systems. “Despite the best of efforts, we have lost him today,” the statement released by Dr. Aarti Vij, Chairperson, Media & Protocol Division. Vajpayee had suffered a stroke in 2009 that weakened his cognitive abilities. On Thusday morning Vice President M. Venkaiah Naidu and BJP leaders, including Home Minister Rajnath Singh and party national president Amit Shah, had visited AIIMS to enquire about his health. Delhi Chief Minister Arvind Kejriwal and Deputy Chief Minister Manish Sisodia also visited the hospital. Bihar Chief Minister Nitish Kumar was expected to arrive later in the day. Vajpayee was the first BJP leader to be sworn-in as the Prime Minister and the first non-Congress PM to complete five year term. Born on December 25, 1924 in Gwalior, Atal Bihari Vajpayee was elected 10 times to the Lok Sabha from four different States (the first time in 1957 from Balrampur in Uttar Pradesh), and was twice a Member of the Rajya Sabha in a storied career. One of the founding members of the Jan Sangh in 1951, Vajpayee became its President in 1968 upon the death of Deendayal Upadhyaya.